Lines were long at the Downtown Cincinnati License Bureau as July began, as BMV clerks explained the biggest change in decades to Ohio drivers licenses. Many of those in line were unsure about the new requirements -- among them Beth Burke, who will have to return in a few days. "There was lady going through the line checking what you needed and making sure you had what you needed, and if not, you had to leave and come back another day, like I am going to do," she said. What it all meant was longer lines, a lot of extra paperwork to look through, and in the case of a number of drivers, uncertainty about what they had to bring with them. A TSA-compliant license, identifiable by a star in the corner, will allow you to get on an airplane. Two separate proofs of your current Ohio address, such as a recent bank statement or utility bill. 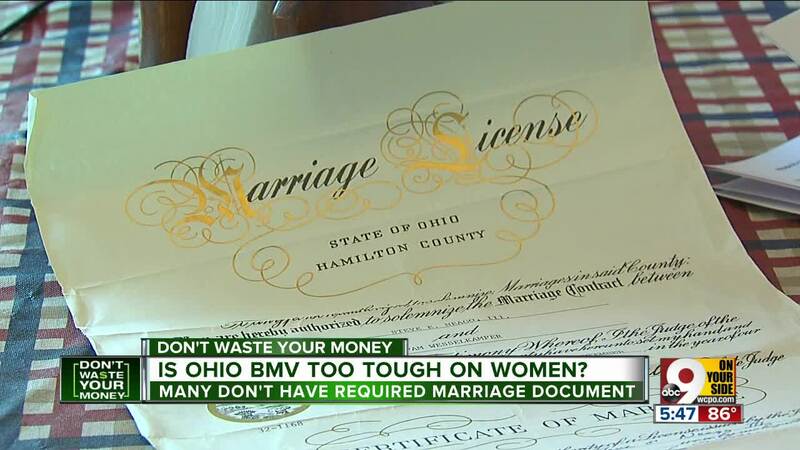 Click here to see all the requirements on the Ohio BMV website. Rick Bell fell short ... just barely. "I'm going to have to come back, unfortunately," he said, "because I didn't have the required documentation for the new type of drivers license." Don't plan to fly? You can just get a standard license, which doesn't require extra identification. 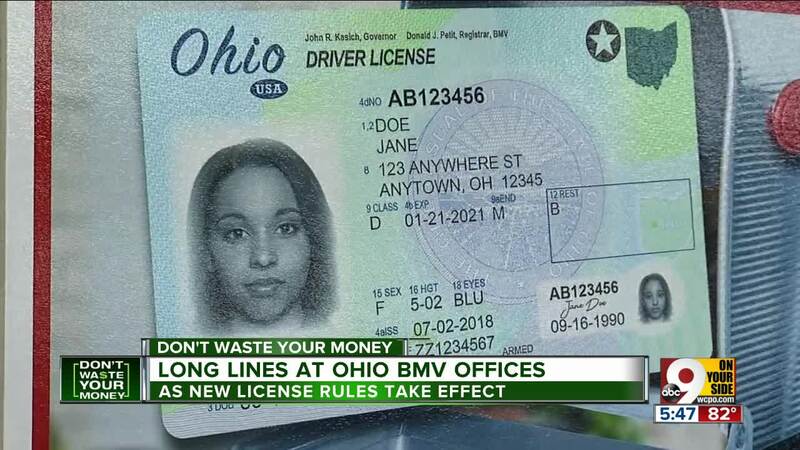 Don Petit, Registrar with the Ohio Bureau of Motor vehicles in Columbus, explained "for a standard license, if you have an existing card already and you were just looking to renew it, all you would need to bring in is your existing driver's license or ID card." But whether your want a compliant or standard license, everyone will still have to wait 7 - 10 days to receive their license in the mail. That's to allow the state to do a background check, then print the license at a secure facility in Columbus. Until it arrives, you will have to make do with what Scott Henry was handed: a temporary license printed on a piece of paper. 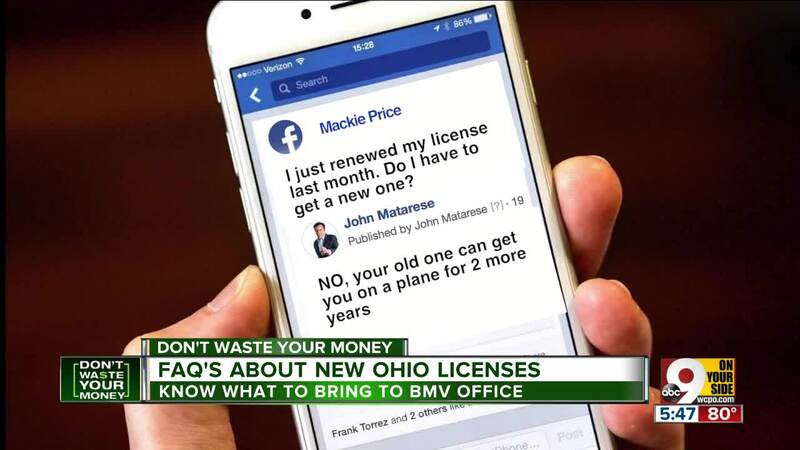 You will also get your old license back to show a police officer in case you are pulled over, but it will have holes punched in it to show it is no longer valid as official ID (and to prevent teenagers from using it to purchase alcohol). It was all a little frustrating for Launie Miller, who said: "We're in the period of instant gratification, and I need my identification right now." Unfortunately she will still have to wait 7 to 10 days. Q: I just renewed my license last month. Do I have to get a new one (and pay for it) now? A: No, your old one is still valid until its expiration date and can get you onto an airplane until October 2020, when new TSA rules take effect. Q: Is there any license I can pick up at the BMV, or do they all have to be mailed? 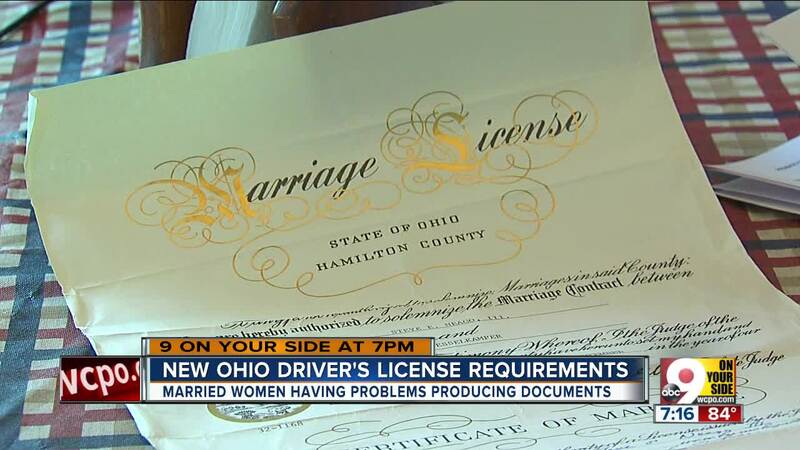 A: Due to new Federal security rules and the need for background checks, ALL licenses are now mailed. You will get yours in 7 -10 days. Q: During that 10-day waiting period, how do I get onto an airplane or into a bar? A: You will get a temporary black and white printout as temporary ID. BMV clerks will also return your old license to you with holes punched into it to show it is no longer valid. You can show that as your ID at a bar. Q: Can I still fly with my old license? A: Yes, this seems to be the most misunderstood thing about the new TSA-compliant licenses. You don't need a compliant license for 2 more years and can still fly with your old one until October 2020. Q: Does a TSA compliant license cost more than a standard license? A: No, they both cost $25. So it might make more sense to get the compliant license, just in case you ever get on a plane. Q: Is a complaint license only for people who fly to other countries? A: It has nothing to do with visiting other countries. You will need a compliant license to fly to Florida or anywhere in the U.S. You need a U.S. passport to fly to Mexico or Canada. Q: What kind of extra ID's do you need to bring to get a compliant license? A: You need to bring multiple forms of identification, including your Social Security Number, to the BMV office ( see the BMV list ). With just your old license in hand when you go to the BMV, you can get only a standard (non-flying) license. Q: What if all our utility bills are in my spouse's name? Is another ID accepted? A: An IRS tax return is fine, and will have your name, address and social on it. And yes, you will need to prove your social to get a compliant license.